The following information can be found in the first ten pages of our new 46-page report “Trust & Integrity in Corporate America.” It is the culmination of ten years of research on the impact of trust on business success. The common assumption is high integrity and trust simply “exist” at the individual, team and organizational level, yet dozens of surveys and studies show otherwise. MIT concludes that leadership trustworthiness produces better results than competence. A Deloitte study found that only 42% of CEOs and 50% of board members have discussed risks to their organization’s reputations in the past year. Also, 53% of CEOs and 46% of board members can’t identify events that can damage their organization’s reputation. Gallup reports that only 46 percent of disengaged employees trust management. Ernst & Young surveyed 10,000 workers ages 19 to 68 in eight countries revealed that just 46% of employees placed “a great deal of trust” in their employer, and only 49% placed “a great deal of trust” in their manager or colleagues. These and dozens of other studies, graphs, data, statistics and tools to elevate trust at the individual, team and leadership levels are included in this report. Who may find value in reading this paper? Barbara Brooks Kimmel is an award-winning communications executive and the CEO and Cofounder of Trust Across America-Trust Around the World whose mission is to help organizations build trust. A former consultant to McKinsey and many Fortune 500 CEOs and their firms, Barbara also runs the world’s largest global Trust Alliance, and is the editor of the award-winning TRUST INC. book series and TRUST! Magazine. In 2012 she was named one of “25 Women who are Changing the World” by Good Business International, and in 2017 she became a Fellow of the Governance & Accountability Institute. Barbara holds a BA in International Affairs and an MBA. 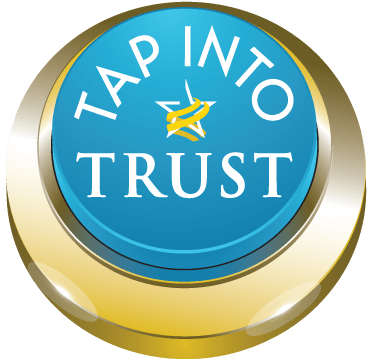 Don’t forget to TAP into Trust! Copyright (c) 2018, Next Decade, Inc. All rights reserved. Press Release: How Trustworthy is America? Today, the Carnegie Council is celebrating its 5th annual Global Ethics Day, with organizations, including TAA-TAW joining forces to recognize ethics as an essential societal imperative. What better day to announce our new rankings, honoring countries that are putting their citizens first. For almost ten years Trust Across America-Trust Around the World (TAA-TAW) has been tracking the trustworthiness of America’s largest public companies through a proprietary ranking framework called FACTS®. The Framework measures companies on five indicators of trust using independent third party data. Companies do not know they are being ranked, nor do they participate in our analysis. We recently published a 10th anniversary research report called “Trust & Integrity in Corporate America 2018” summarizing not only our findings, but those of over twenty major institutions who have been studying the impact of trust and ethics on business success. Piggybacking on the release of our 2018 Trust Alliance Principles (TAP) this past spring TAA-TAW assembled a small global team of Trust Alliance members to advise on creating a similar ranking system for countries, using FACTS® as the framework, and aggregating the most current data from reputable third party providers. We identified fourteen indicators of societal trustworthiness including corruption, competition, reputation, sustainability, economic freedom, healthcare and women’s rights, to name just a few. The data was culled from global organizations including the World Bank, the Economist Intelligence Unit, The Heritage Foundation, The World Health Organization and Georgetown Institute for Women, Peace and Security. This comprehensive data collection and fact finding process allowed us to create the 2018 rankings. Almost seventy countries were analyzed with scores ranging from 66 to 1432. The lower the score, the higher the country ranked. Incomplete data precluded some countries from being included. The United States ranks #20 with a total score of 369, and a relatively poor showing in reputation, healthcare and safety. Saudi Arabia, Brazil, India, China, Russia and Nigeria. While this index may reveal some surprises, similar to our FACTS® Framework ranking of public companies, it’s purpose is to highlight the “best in breed.” Whether one is thinking about or discussing companies or countries, elevating trust and ethics is a win/win for all stakeholders. To view the full rankings please visit www.trustacrossamerica.com and click on the “Research” tab or access directly at this link. Are you very engaged at work? Do leaders have the “right” skills to build trust? Do the words of leadership match their actions? Does high organizational trust keep you at your job? Does your company behave ethically? Is the company culture highly aligned? Is innovation affected by the culture? Do you think a high trust culture is responsible for elevating the success of your company? Has leadership committed to elevating organizational trust? No doubt these are some tough questions. And while most workplace surveys exclude them, imagine the valuable insights if they were included. And in fact, every one of these questions has been addressed in recent studies conducted by many leading organizations. These are just a few of the answers to the ten questions posed above. According to Deloitte’s Millenial Survey 2018 only a minority of millenials believe businesses behave ethically. Gallup reports that only 46% of disengaged employees trust management. Are you surprised by these findings? For the most part, trust in business has stagnated since we began tracking it ten years ago. In Trust Across America’s most recent 2018 study of the trustworthiness of America’s largest public companies only 103 companies in the Russell 1000 scored a 70% or above. The rest failed our test. In celebration of our 10th anniversary helping organizations build trust, we spent the best part of the past three months assembling a research report called “Trust & Integrity in Corporate America 2018.” The (almost) 50-page report answers every question posed above, and many more. Studies from over 20 leading organizations, trust models addressing individuals, teams, leadership and organizations, highlights of our FACTS® Framework research and many other valuable tools are included. Good measurement informs uncertain decision-making, and when an organization asks the right questions and measures what matters, leaders make better decisions. While corporate culture, core values, good citizenship, ethics, integrity and trust are commonly believed to be immeasurable intangibles or soft skills, research highlighted in our report points in the direction that these are not only false beliefs, but also that the benefits of an ethical culture far outweigh the costs. Yet most leaders continue to hold fast to the “soft skills” argument because neither they nor their Boards of Directors are thinking about them or reviewing the “right” data or inputs. Trust Across America tackled the “Board challenge” topic in the free spring 2018 issue of TRUST! Magazine. It’s not uncommon for the following warning signs to be present in organizations when focus is on the wrong “tangibles” and the “soft skills” are misidentified. The organizational culture is a mystery. No clear “ownership” of ethical or trustworthy business practices or decision-making exists. Discussions/training on ethics and trust rarely occur. When they do, they are lead by either the compliance or legal department and focus on rules, not integrity and trust since these attributes are voluntary and cannot be regulated. Discussions of short-term gains and cost cutting dominate group meetings. The pressure to perform is intense and the language used is very strong. The Legal and Compliance departments are large and growing. Ethical considerations/testing are not part of the hiring process and fear is widespread among employees. SUCCESS: What role does trust play in ensuring a healthy culture ultimately impacting the success of your organization? PERFORMANCE: How is trust tied to high performance, innovation, and sustainability in your organization? COSTS: What are the costs/implications of not having a high level of trust in your organization? BENEFITS: What are the payoffs of a trust-based organization for your stakeholders including your employees, customers, community and shareholders? CULTURE: What values, principles or beliefs does your organization follow that are essential to building a foundation of trust? What better time then now to start asking the “right” questions, collecting the “right” data and improving the culture for the benefit of all? Wouldn’t it be great if more organizations, including yours, could pass the test? What’s holding you back?